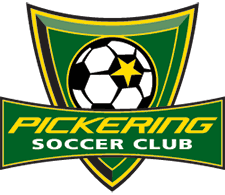 Thank you for your interest in Volunteering with the Pickering Soccer Club. We are excited, and grateful for your support and enthusiasm. Your role is simple - to help provide a great experience for our athletes and to simply have fun, get fit and make friends playing the wonderful game of soccer. We will help you with training, mentoring and support, all season. Work closely with other volunteers and instructors to learn how to be a great mentor and friend. Help athletes to make friends and have a great time! 1. I understand that I (or my child/ward) cannot coach in any sanctioned soccer game until after this registration form has been validated and the registration data has been entered in The Ontario Soccer Association's computerized registration system. 2. I have reviewed the Participant’s agreement attached and my name typed hereto indicates my agreement with such Participant’s Agreement. 3. I am aware of The Ontario Soccer Association, Durham Region Soccer Association, Pickering Soccer Club and League bylaws, policies, rules and regulations and agree to abide by them and to be bound by them. 4. I accept sole responsibility for the participant's possessions and athletic equipment. 5. I accept all liability for any damage to the coaching equipment caused by the participant or by the participant's careless, negligent and/or improper handling. 6. I accept the Pickering Soccer Club may use the participant's team pictures for publications/events run by the PSC. Please read. NOTE: If you are under 18 years of age, please have a parent/guardian read. BY SIGNING THIS DOCUMENT YOU WILL WAIVE CERTAIN LEGAL RIGHTS. PLEASE READ CAREFULLY! This is a binding legal agreement. As a participant (or parent/guardian of a Participant under age 18 years) in the programs, activities and events of the Ontario Soccer Association, their Districts, Leagues and Clubs, the undersigned acknowledges and agrees to the following terms. 1. The Ontario Soccer Association, their Districts, Leagues and Clubs, directors, officers, members, employees, coaches, volunteers, officials, participants, clubs, agents, sponsors, owners/operators of facilities, and representatives (the “Organization”) are not responsible for any injury, damage or loss of any kind suffered by a Participant during, or as a result of, any program, activity or event, caused in any manner whatsoever including, but not limited to, the negligence of the Organization. Travel to and from competitive events and associated non-competitive events which are an integral part of the organization’s activities. That I (or my child/ward’s) risk of injury increases as they become fatigued. To release the Organization from liability for any and all claims, demands, actions and costs that might arise out of my (or my child/ward) participating, even though such risks, injuries, loss, damage, claims, demands, actions or costs may have been caused by the negligence of the Organization. Executing this agreement will not preclude you from accident insurance coverage for you or your child/ward, subject to the terms and conditions of The Ontario Soccer Association’s insurance policy. By entering your name and date as well as checking the box below, you agree that you (or your child/ward) is the coach/volunteer/participant being registered and to be bound by this Legal Agreement even if you have not read this agreement. Together we will MAKE INCREDIBLE THINGS HAPPEN! If you have any questions, please email us at allabilities@pickeringsoccer.ca. You will receive email updates from the Program Coordinator soon!